Throughout the years, there have been many changes to classroom furniture since its first inception in the one-room schoolhouse. Traditional classroom furniture includes desks, tables, and chairs, but the type of furniture used within a classroom should depend on the size of the room, the age of the students, and the tasks to be performed. For preschool and young elementary school children, the desks, tables and chairs used should fit them. Most school furniture catalogs have standard measurements for grade ranges. Children should be able to see and be seen over bookcases and shelves; and taller shelves should line the perimeter of the room. The furniture should be in good condition, safe, easy to clean, durable, and have at least one clear purpose. Classrooms should not be overcrowded with unnecessary furniture, and children should be able to move around in the classroom easily and safely. Traditional high school and college classroom designs usually make use of a teacher's desk, desks and chairs for the students, and extra tables if needed (for instance, in a laboratory setting). The desks can be of wood or metal and other durable materials; they may or may not be connected to chairs. 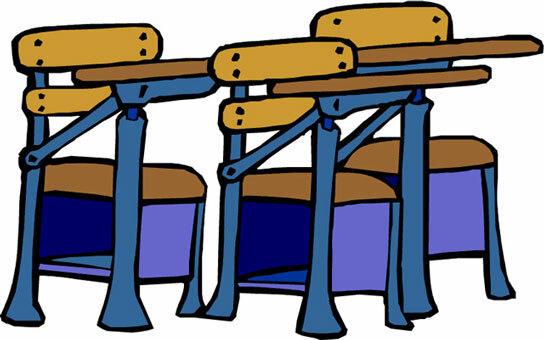 Stand-alone wooden desks often have storage space underneath, but many schools now use desk and chair sets which can fold up together and be put away for easy storage. There has been much discussion about upgrading traditional college classrooms into what is referred to as a "smart" classroom. "Smart" classroom setups work with current technology; they allow students to use personal computers or laptops at their own workstations, download information from the professor's computer, or take tests electronically. Obviously, this impacts the choice of furniture used within the classroom, and modifications have to be made. One concept is that of running power lines and data cables from a below-floor-level conduit network to workstations and in-room servers feeding up though the floor, directly through the furniture. A table that is fixed to the floor hides and protects the lines and wiring. The seats are typically pedestal or swing-away seats, using a steel frame. Classroom furniture will continue to undergo innovative design changes as modern technology moves forward. DEMCO has been serving library and school professionals since 1905, and offers a broad range of hard-to-find supplies, furniture, and equipment. Smith System school furniture has changed over the years with the changing needs of educators and students. Schools across America choose Smith System furniture for their classrooms, libraries, and computer labs. Royal Seating features total furniture solutions for classrooms, auditoriums, libraries and computer labs. Sheldon Laboratory Systems features school laboratory equipment and science lab furniture products. Scholar Craft is committed to designing ergonomical school furniture which is both durable and attractive. 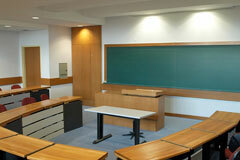 KI features office furniture solutions for education, business, government and healthcare markets. 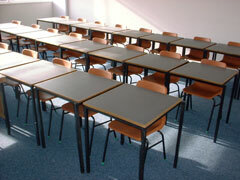 Artco-Bell has been producing quality educational furniture for over 40 years. Columbia is a well-known Massachusetts firm which manufactures a diverse line of school furniture products. Virco offers seating, desks, and work surfaces for school classrooms and preschools.